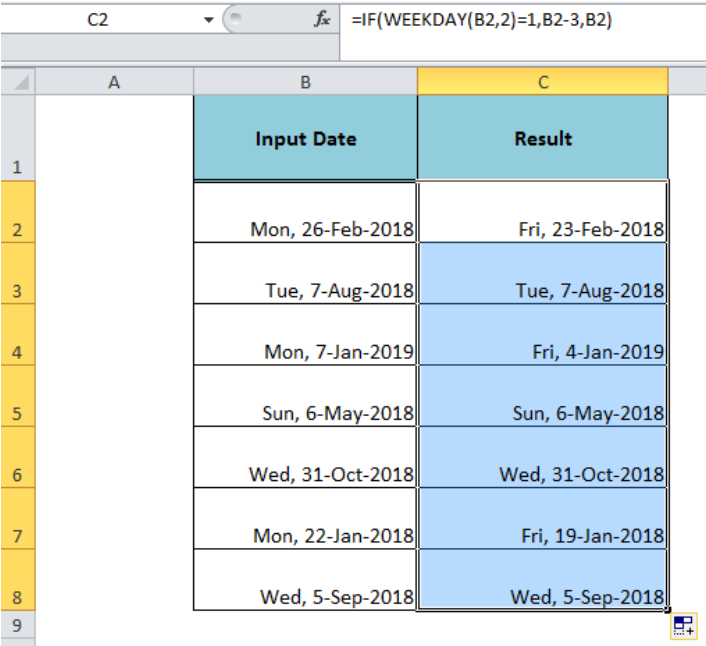 When we enter the date and check the specified weekday for the date and want to roll it back to the required weekday, like check if Monday, roll back to Friday, then we need to use the Excel IF and WEEKDAY functions together in a formula. 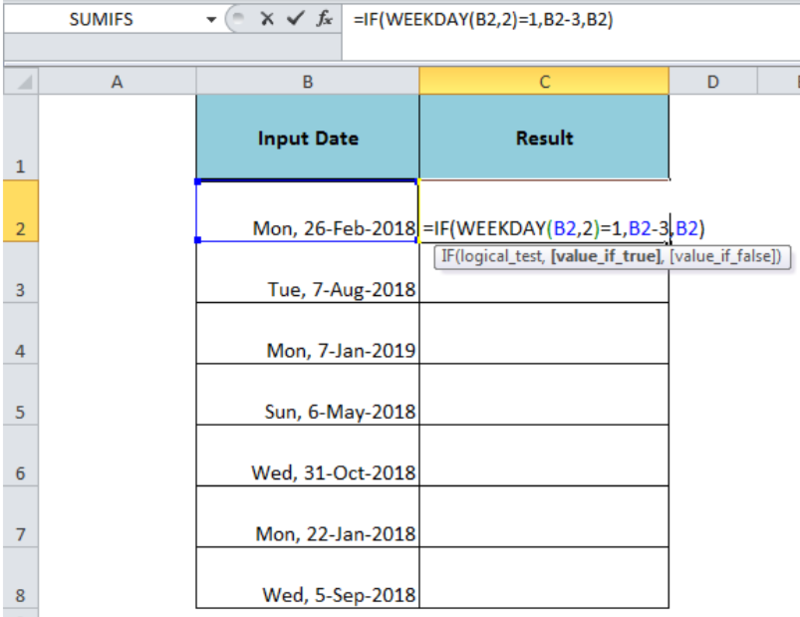 The Excel WEEKDAY function returns a number from 1 to 7 identifying the day of the week for a date according to the return-type index number, like for return_type index number 2, the WEEKDAY returns numbers 1 (Monday) through 7 (Sunday). Date – It is the date value entered as cell reference to check the weekday for. The IF function checks a logical condition and returns one value if the condition is TRUE, else the other value if the condition is FALSE. 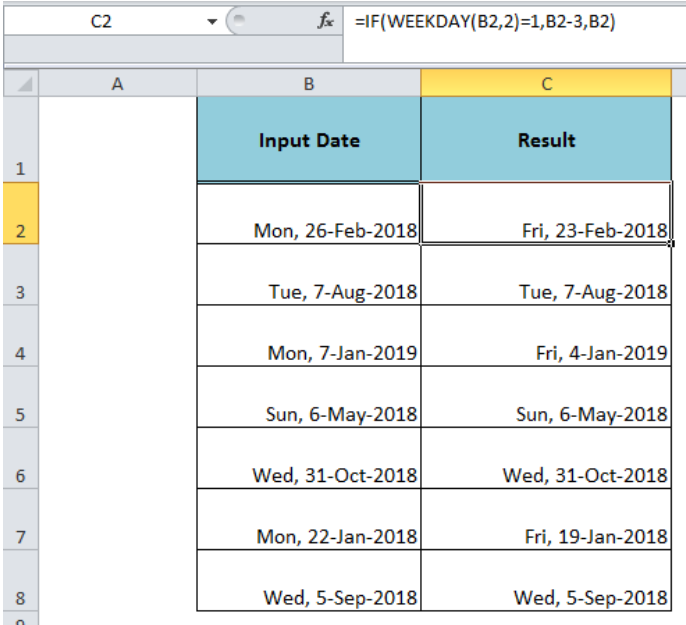 The logical condition part of the formula, WEEKDAY(B2,2)=1, checks if the weekday for a date is equal to 1 (Monday), then subtract 3 days from the given date value (B2-3) to roll back to Friday date, else return the same date value.